Nineteen moon bears already languishing in desperate conditions in Vietnam may have just received a death sentence. The advocacy group Animals Asia says a new decision by the Vietnamese government nearly guarantees that the bears will perish in bear bile farms in Halong Bay, Vietnam, where they wait in "shocking" conditions. When Animals Asia conducted an investigation of the Halong Bay bear farms in December, it found 49 starving bears, some covered with open wounds and some with missing limbs. Just a few months later, according to the group, only 19 of those bears now remain. The other 30 all presumably succumbed to starvation or illness. And because the Vietnamese government is delaying a final decision on the surviving bears' rescue for six months, all of the Halong Bay bears could die before they get the help they so desperately need. "The bears don't have six months," Animals Asia CEO Jill Robinson says in a statement. "If they continue to die at their present rate there will be no decision left to take." Considering what these bears go through on a daily basis, it's surprising they have survived this long. During the December investigation, Animals Asia found that 20 percent were emaciated, nearly 40 percent had broken teeth, 75 percent were wounded and all of them suffered footpad hyperkeratosis, or "dry cracked and painful paws from standing on bars." Bile is extracted directly from the bear's gall bladder by means of a temporary catheter and pump or a syringe. After the bear has been drugged with ketamine, its gall bladder is located (by means of an ultrasound or by repeated "blindpuncturing" attempts with a needle) and the bile is extracted using a catheter and pump or a syringe. The bears' bile is used primarily for traditional medicine. Animals Asia has been aggressively working to rescue the remaining 19 bears and care for them at its nearby sanctuary, a 30-acre swath of land that is being expanded to hold up to 200 bears. Currently, the sanctuary is home to 109 bears. However, the recent decision by the Vietnamese government has delayed the transfer of the bears to the sanctuary - and attached a troubling requirement. In what Animals Asia describes as a contradictory statement, the Vietnamese government has, on one hand, directed local authorities to "demand" that the bile farms hand over the bears to Animals Asia for rescue. But on the other hand, Animals Asia says the statement is requiring the group to compensate the bear bile farmers, which the organization finds troubling. "We refuse to pay the farmers because what they are doing is illegal to begin with," Tuan Benixsen, director of Animals Asia in Vietnam told The Dodo. "We are waiting to see if the farmers will give us the bears regardless." The government ordered that all the involved parties report back the outcome of the deliberations in six months. 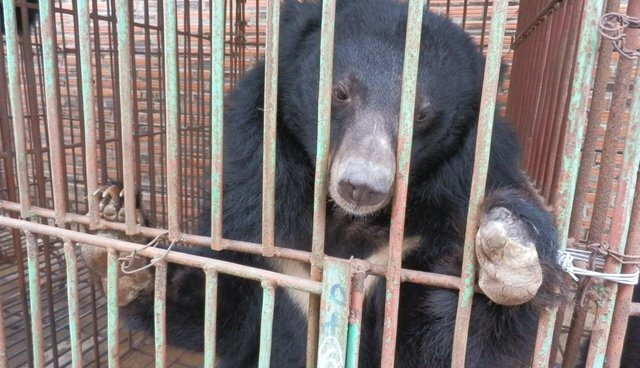 Although the moon bear trade is illegal in Vietnam and globally under CITES, Vietnam is accused of capturing bears from the wild for its farms, according to a study by the International Union for Conservation of Nature (IUCN). The IUCN Red List classifies moon bears as a threatened species who have lost about half of their range in the past 30 years. 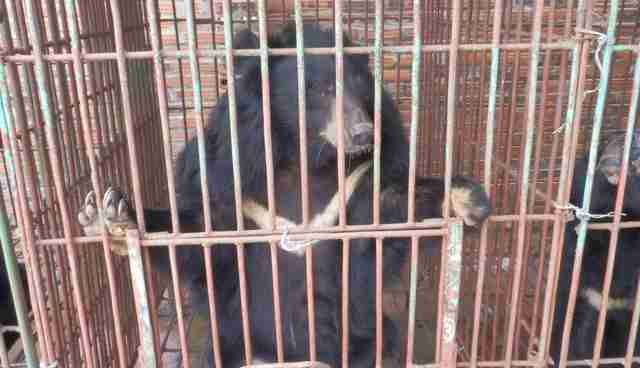 As the race is on to save the Halong Bears, other bears also suffer in farms across Vietnam. According to Animals Asia, Vietnamese officials recently released statistics that revealed more than 700 captive moon bears have died in the last year, which leaves 1,245 bears needing rescue.